Do you find it hard to manage your weight? Do you binge on food to get the emotional security you need? Do you get emotional eating hunger pains, when it your tummy hurts so much that you just need to eat? When you are so stressed or emotional that you just need to eat? Perhaps you get a comfort from binging that you don’t have in other areas of your life. Do you get a chemical feel good when you binge? Do you then feel guilty and use various methods to rid yourself of the food as you feel guilty for eating and you don’t want to put on weight. Maybe you can’t facing eating at all. Is the rest of your life confusing and out of control and the only thing that you can control is your eating or not eating at all. When you get hunger pains does this give you some form of comfort that you are in control? Does this give you a sense of power or that you are winning? Do you look in the mirror and not like the shape you are? Do you not like the person you are? Maybe you started trying to fit in with classmates or the people around you. You wanted to look like a size zero model in the magazines. News they are airbrushed to make them look slimmer than they are. Do you finding yourself hiding food or lying about what you have or have not eaten? Do the people around you just try to get you to eat more to put on weight and don’t look at the emotional underlying issues. This then adds fuel to the fire and starts the cycle again with even more power behind it. How great would it be if your life was not ruled by this emotional relationship with food? With the WRM technique we use combination of NLP techniques and hypnosis, we identify the eating habits, reasons and emotional needs behind eating or not which supports long term changes not just the symptoms of over or under eating. People are not their behaviours we are so much more than that!! We all do the best we can with the resources we have available to us. With more resources available to us or if you like the correct tools in our tool kit we can make changes to our behaviour and life. WRM is not an exercise program or nutritional advice, although I do work from time to time with personal trainers and other health industry experts. The WRM tackles the real underlying deep emotional problem and your relationship with food. You will be required to keep a food diary that also looks at your emotions and eating habits. You will also be set other tasks before coming to see me. It is important that you complete the tasks. The main changes will occur outside the sessions. If you don’t complete the task then ask yourself ‘Do I really want to be a different size and shape’? Do I really want to be in control of my relationship with food and weight? I know the answer, and I know you do too, of course you do. Completing the Tasks will help you reach your personal goal. You will have two full days’ sessions with me. 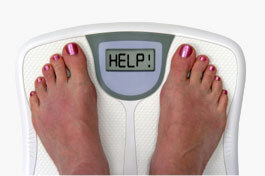 We review your values and beliefs and align them to your goal of weight management. We will elicit any limiting decision or beliefs that you may have about yourself and resolve any conflicting beliefs. We will look at your motivation strategy and ensure you are really motivated and ready to achieve your goal. We use Time Line Therapy to get rid of any unwanted or negative emotions and place your Goal in your future Time Line. We will also use Hypnosis for deep relaxation. After your face to face sessions, you will have my support for a further 3 months. This will include hourly appointments every two weeks via telephone or Skype or, if necessary, a face to face appointment can be arranged. You can also email me at any time during this period to discuss your progress or if you require my support. You could be in control of your life and your relationship with food. You could address the real underlying issues, clear out all those negative emotions. You will have a clear uncluttered mind to focus on the things that you want. The result is you will end up eating a healthy balanced diet, really enjoy your meals, have the energy to your need to exercise and have a healthy active life. You will also look great too.